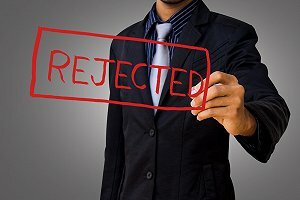 Sorry we think you’re not the ideal fit for this position or sorry to inform you, but you are not exactly the candidate we were hoping for – these are some of the replies you may get from an unsuccessful interview, and while it can sting for a day or two, you should not dwell on it any longer. While there may be positive lessons to take away, you should be more concerned about everything that went wrong. The idea here is not to curse yourself for making small errors or dwelling on every minute detail. Instead, you should focus on the questions you didn’t answer correctly, the documents you didn’t bring, the certifications you didn’t properly answer questions on etc. Here, you should reflect on the bad, with the ultimate aim of righting your wrongs in your next interview. It can indeed hurt not to get your dream job, but in the midst of your sadness and anger, you have to honestly ask yourself, was I adequately prepared for this interview? Did I leave every stone unturned during my preparation and did I do my homework? In some instances, things can entirely be out of your control, and that’s perfectly fine. But areas where you could have controlled the outcome, you have to ask yourself if your lack of preparation let you down. So, reflect on your last interview and use it as a template for your next one. Learn to control the proceedings as much as you can, and if at all things don’t go well in the future, ensure that you’re not to blame. Going for an interview unprepared is like inviting failure to accompany you. If you are ultimately sure that you didn’t screw things up, then seek feedback about what went wrong. You can do so by asking a recruiter about areas where you performed poorly and how you can improve moving forward. While they may not give you a detailed report card of all your errors, they are sure to provide you with a pointer or two, regarding areas where you may have underperformed. Also, you can try sending a thank you email after the interview or once the employer informs you about their decision. Regardless, seeking for feedback after every interview is an excellent way to learn and it also exemplifies a professional behaviour. Remember, your failure to clinch the job is not always because the interviewers hate you or don’t think you are smart enough for the position. Usually, the decision to recruit is not singlehandedly decided by one person. Also, the rejection could be linked to the fact that there was a better, more prepared and more qualified candidate for the position. Bottom line, maintain a positive mindset. Failing to pass an interview isn’t the end of the road for you. As long as you are focused on learning from your previous mistakes and developing yourself, a successful interview isn’t too far away.